Many Premieres of Canadian music, most recently song cycles by Walter Buczynski, John Beckwith and Derek Holman. Numerous CBC broadcasts in all genres including some twenty concertos with the Winnipeg CBC Orchestra, and vocal concerts including ""The Vocal Splendours of Richard Strauss"", ""Fetes Galantes"" with Catherine Robbin, Rosemarie Landry, Marc Dubois. Much chamber music: including Brahms violin sonatas with Otto Armin; many recitals with Rivka Golani and Ofra Harnoy and Tsuyoshi Tsutsumi, among others. Awards: Order of Canada, December, 2012; Canada Council Award for Young Performing Artists; First Prize, CBC Talent Festival. Concerto debut at 19 with the Rachmaninoff 3rd. Extensive Concerto repertoire from Bach to the Berg Chamber concerto, with the Toronto Symphony and the National Arts Centre Orchestra among others. 40 years of University teaching: outstanding students--Tomson Highway; Renee Rosnes; Sara Davis Buechner; Douglas Finch; Angela Park; Garnet Ungar; David Code. Publications with Oberon Press: ""Starting from Porcupine"" (memoir); three books of poetry including CDs of Aide's performances of Beethoven, Chopin, Brahms, the Liszt Sonata and Schumann's ""Carnaval"". New book of poems near completion, entitled ""Massenet's Elegie"". Recording of Chopin's Ballades and Scherzi. Recording of Canadian song cycles (Beckwith, Holman, Buczynski). 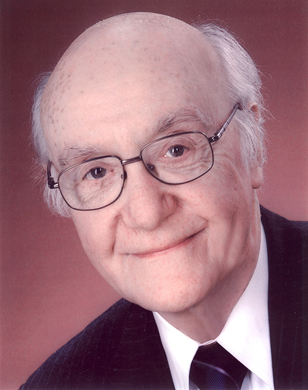 Professor Emeritus William Aide received musical degrees from the Juilliard School and the University of Toronto. As a collaborative pianist he has worked with conductors Sir Andrew Davis, Arthur Fiedler and Walter Susskind; sopranos Elizabeth Soederstroem and Lois Marshall; violist Rivka Golani; and the St. Lawrence and Orford string quartets, among many others. He has performed in the former Soviet Union, and throughout Canada and the U.S. and has held artistic residencies in Aix en Provence and the Trinity College of Music, London. A specialist in Canadian music, Aide has performed more than 30 premieres of Canadian works, including five piano concertos. He is the former Head of the Keyboard Division at the University of Toronto, and was inaugural R.E. 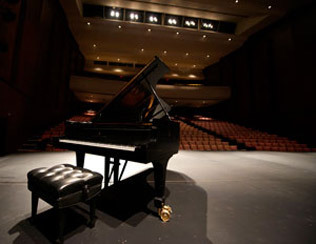 Edwards Chair in Piano Performance. His recordings include the Chopin Etudes and Preludes, Schumann song cycles with Lois Marshall, the Brahms Cello sonatas with Ofra Harnoy, and Centremusic discs of works by John Beckwith and Talivaldis Kenins. He has served as juror with every edition of the prestigious Honens International Piano competition since 2000. As an author and poet he has published four books with Oberon Press. In December of 2012 he was named to the Order of Canada.